While patients rarely have dangerous conditions when seeking dental care, “going to the dentist” is a universally hated activity. Part of it may have to do with guilt — most people don’t take as much care of their teeth as they know they should. Part of it is the dread of needing to have work done, and of course, there are cases where neglected teeth become painful or even dangerous. The everyday routines of patients have an enormous impact on many areas of their health, but this is perhaps most exemplified with dentistry. Teaching comes into play a great deal — not just teaching patients about the tools and procedures at the office, but about how to care for their mouths, the biology of teeth and gums, and how they’re affected by the things they eat and drink. 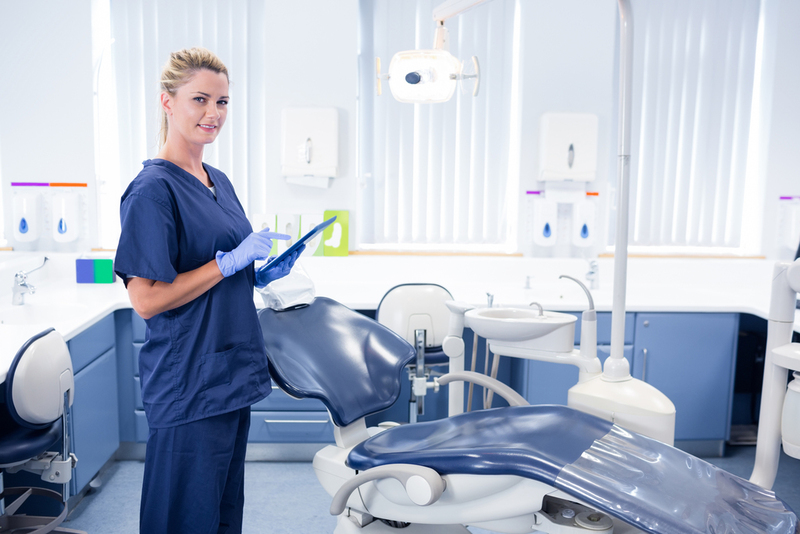 One big reason that patients are unsatisfied with their healthcare is customer service, and taking extra time to be a teacher, as well as a dental professional, is a big part of the customer service puzzle. When people feel as though you’ve taken the time to educate them about the things that affect their health, the procedures you’re going to perform, and the reason you’re doing them, they feel more comfortable. More comfortable patients are easier to work with. People have reflexes and phobias associated with their mouths, so it’s important to go into detail about exactly what to expect, even if they’re just in for a routine cleaning. Calming down patients to make it easier to work is just one advantage of taking some extra time to educate. American healthcare is a for-profit system, and many people are suspicious of medical professionals due to the news they hear about the profit-driven nature of the industry. It can be difficult to convince someone that a procedure is necessary, especially if it’s expensive. Realizing that they may need to pay a lot of money out of pocket for a necessary procedure is a stressful time for patients. At this point, it’s important to strike a balance between helping them emotionally and engaging their intellect in order to help them understand their options. Offering information about the options available for financial assistance is one good way to help a patient through the process. For example, if your office participates in Medicaid, informing people without insurance how they might qualify, and what procedures might be covered is a good step on the road to better service and better care. The quality of the patient experience matters a great deal, and you’ll need to accommodate for a range of reactions and learning styles. Varying the mediums by which you deliver educational material — television, print, verbal, demonstration — is a good way to make sure a patient fully understands what’s happening. There are a number of strategies for improving the education and experience of patients, and it’s a good idea to make sure that all employees of the office are well versed in teaching tools. If you can establish a trusting relationship from the first time a patient walks into the door, everyone will have a much easier time if the situation should arise that they need major dental work done. 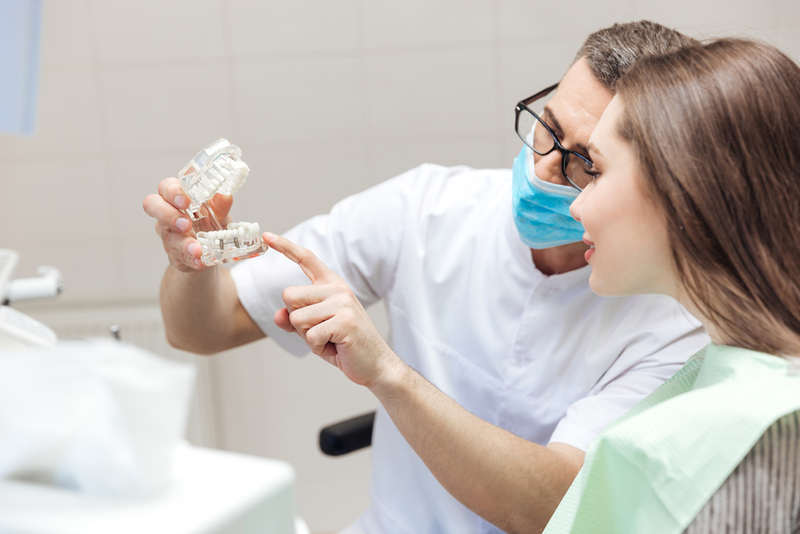 If, for example, a patient ends up needing a lot of restorative work done, it’s important to take time to go through all of the treatment options for the dental work they require — even the suboptimal treatments. It gives you a chance to contrast all of the options with them and guide their decision-making during a potentially stressful moment. It can be advantageous to go over the history of a particular treatment method and to take the time to dispel common myths. Be proactive in answering common questions, as they may not think to ask them. The better you can educate the patients that come through your office, the more they become empowered to take charge of their own health. Focusing on the advantages of proactive, preventative care, as well as the unpleasant results of the lack of it, can be one way to build trust. Keep in mind that people may respond better if they don’t feel as though you’re trying to scare them. Dental offices aren’t hospitals, and for the most part, the procedures that take place there are relatively minor. Of course, there are occasionally emergency situations which can be caused by a variety of issues left unchecked. Still, due to the fact that people don’t have extended stays in dental offices, the number of support staff it needs to run is lighter. That means that everyone in the office needs to be on board with education. Happier, healthier patients benefit everyone!